I had just installed Prey on Android 8.0.0. However, it only displays an error message when I try to login. 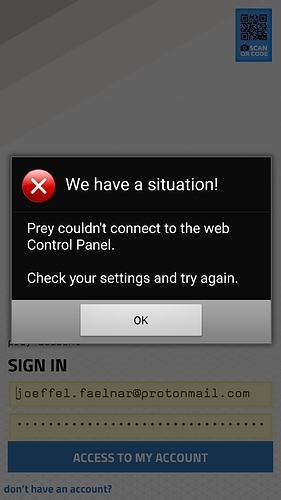 Error: Prey couldn't connect to the web Control Panel. Check your settings and try again. Logging in to the web console works so my account is fine.